This Figure-4 is one I created out of scrap dogwood shafts I used for arrows. Note the 2 larger sticks to the side of the deadfall log. 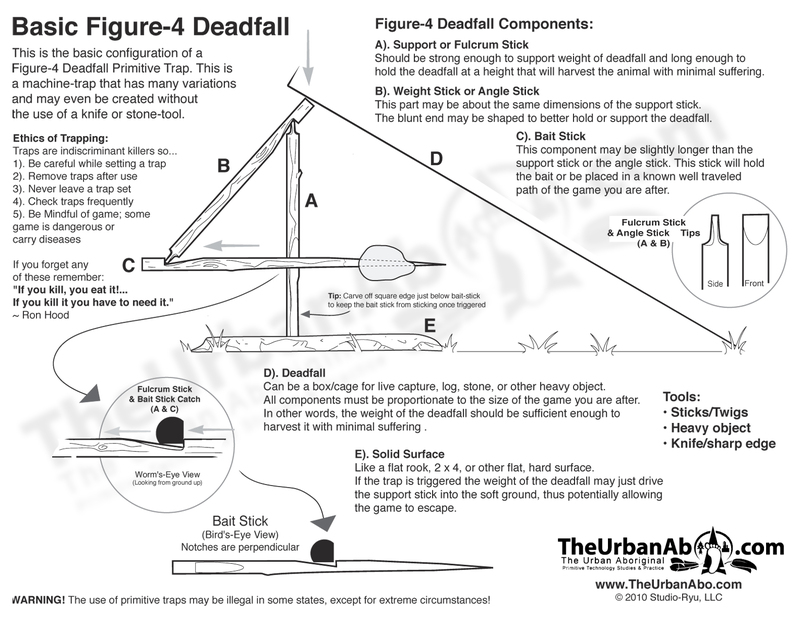 These help guide the deadfall downward and keeps the trap stable or knocked over from the wind. This is one of the easiest basic mechanical traps to learn and construct, provided you have a cutting edge such as a rock or knife. It uses a weight as a dead-fall to pin or kill your quarry. 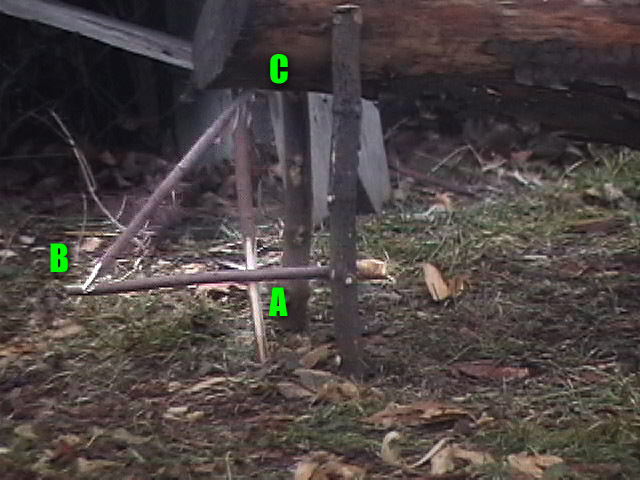 A rock or other weight rests on the end of the diagonal stick. This supplies downward pressure to the end of that stick. If you use a round dead-fall like a log you may have to create guide posts on either side to keep it from rolling and not setting properly. When the animal takes the bait at the end of the horizontal stick, the trigger at "A" is released. The horizontal stick falls to the ground, and the diagonal stick flips up and out in an arc. This allows the weight to come crashing down on the quarry. Figur-4s can also be constructed without a cutting edge. Knots or natrual bends in the sticks used can create the mechanism necessary for the trap to work.